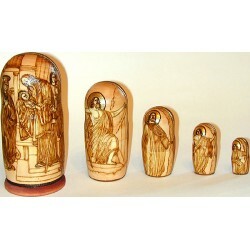 This attractive set of nesting dolls is an original author work of Nadezhda Romenskaya. 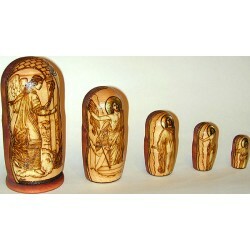 The set includes five brightly colored, wooden dolls. 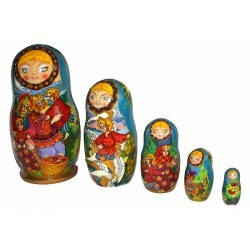 Each of five dolls has the same neatly painted face and wears a beautiful Pavloposadsky shawl. 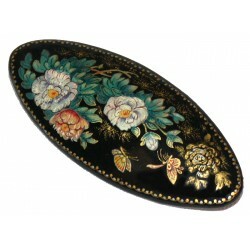 This brooch was painted by the talented Palekh artist Peskova Irina. 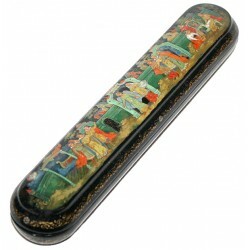 Please let us know if you have any questions on this item or need any additional info/photos. 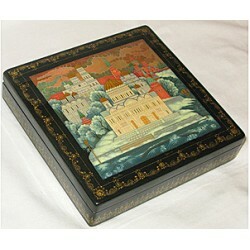 Strunina Tatiana from the village of Mstera is the author of this box. 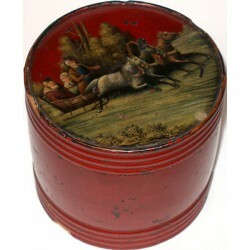 It shows several scenes from the Russian fairy-tale “"The Seven Semeons". 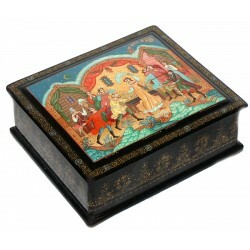 This antique box that was painted in 1996 is a creation of Yuriy Kolganov. 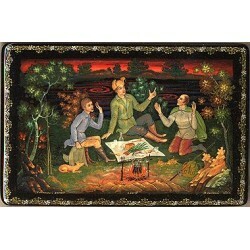 It shows three fishermen sitting near the bonfire on the river bank. 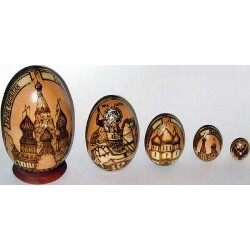 This set of nesting dolls has been created in the ancient Russian town of Sergiev Posad by the talented master Listunov Oleg. 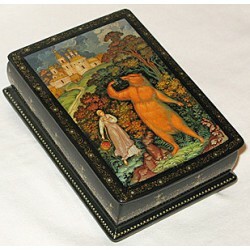 Tatyana Strunina is a talented Mstyear artist who painted this box. 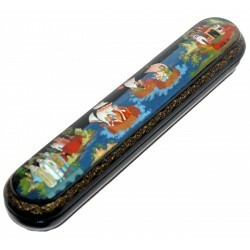 This traditional Kholui box has been painted by Andrey Kharchev. 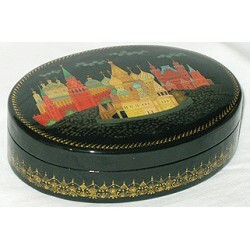 It shows a picturesque view of the Red Square and the Moscow Kremlin. This peaceful composition, undoubtedly, will attract the admirers of Cats. Kholuy artist Adrey Kharchev painted this beautiful view of the Moscow Kremlin and Christ the Savior Cathedral. 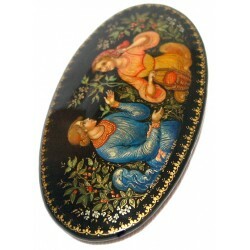 This interesting brooch was painted by talented Artist Kukharkin Boris from the village of Palekh. 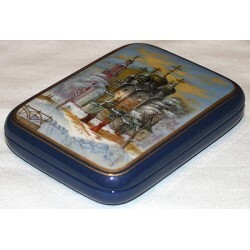 This beautiful architectural scene was painted by well-known Fedoskino artist Mikhail Papeonov.On this box we can see fragment the famous Novodevichy Convent. 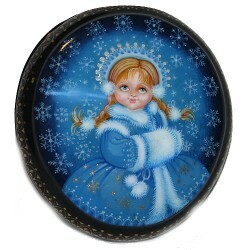 Tatyana Strunina, a daughter of the very well-known Mstera master Piotr Sosin,(who has passed us away) is the artist who painted this traditional Mstera box. This interesting work has been created by T. Milyushina from the village of Kholui. A peasant girl was picking raspberry in the forest, and to her great astonishment came upon a bear in the raspberry bushes. 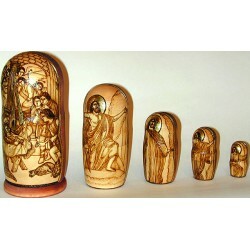 This gorgeous set of nesting dolls has been created in the ancient Russian town of Sergiev Posad by the talented master Listunov Oleg. Shape is not perfect. There are some missing parts on a painting. Please contact us before purchasing.Description behind the scene will be added soon. 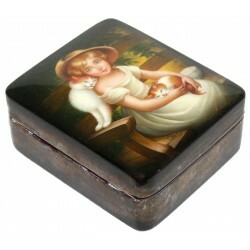 Olga Strunina from the village of Mstera is the author of this adorable box. 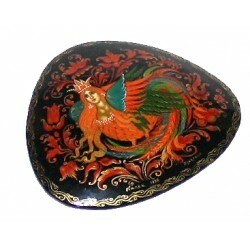 It is painted on New Year's theme, and shows the beautiful Snowmaiden standing in the cloud of swirling snowflakes.